On Thursday April 28 Daymond John held a signing and seminar for his new book “The Power of Broke”. 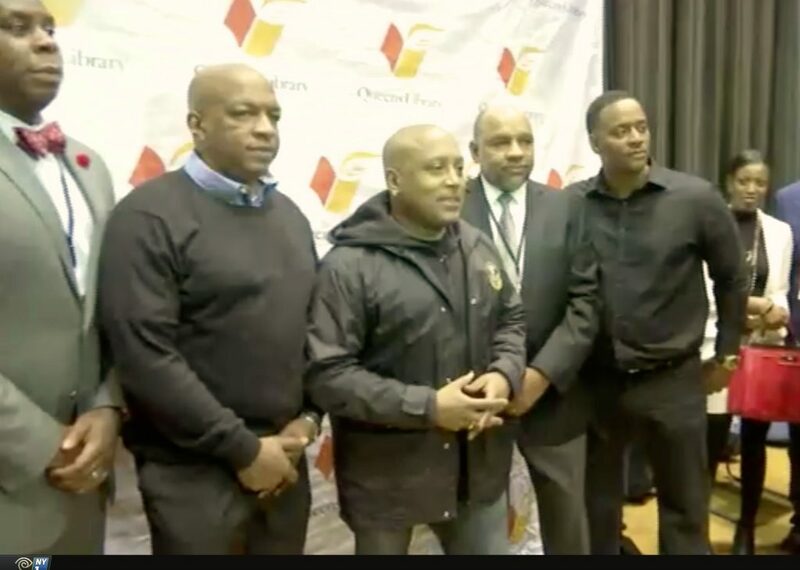 Media makers in association with The Queens Library and Cuny York College presented Daymond John, the famous investor on the reality TV series “Shark Tank”. During this seminar he was interviewed at Cuny York college by Queens Library’s Hip-Hop Coordinator, Ralph McDaniels, who also co-hosts the music video program Video Music Box. Raymond John was proud to discuss his path to success with the local students at Cuny York college. He stated “When growing up in Queens, and any place, if you use the advantage of the ‘Power of Broke,’ you don’t have any choice at that matter, so you either have to hate it or tap into it”.